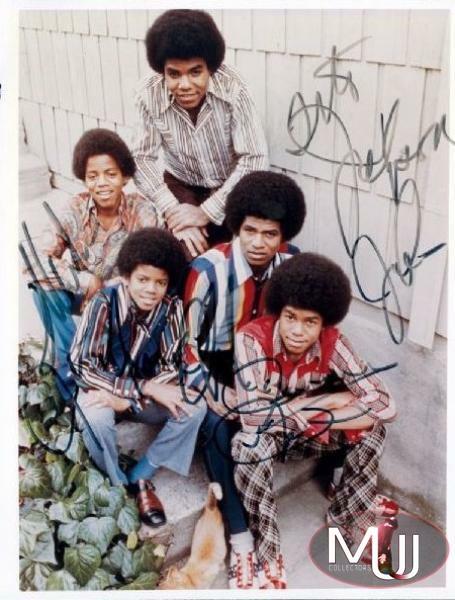 8"x10" color photo of the J5, signed by each brother in black felt tip pen. Looks to be from c. 1972. Offered by Gotta Have It (Lot #182) at their 10/16/10 Rock & Roll Pop Culture Auction. All screen captures are the property of their respective owners.